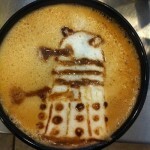 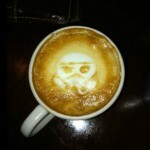 It never ceases to amaze me the kind of things that people will make in their lattes. 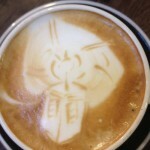 However, as amazing as all of the ones have been that I have posted in the past (and there have been some VERY impressive ones like the Sonic the Hedgehog latte art I posted not long ago), none are as mind blowing as this fantastic Doctor Who inspired TARDIS latte art! 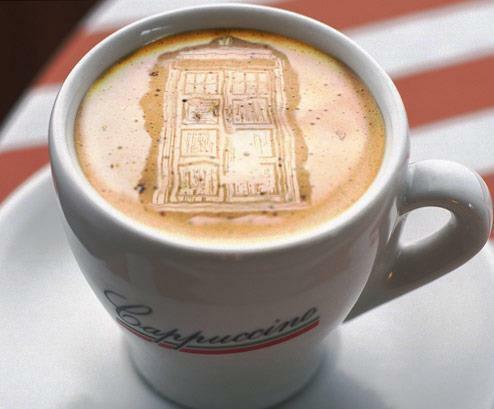 Unfortunately, I don’t know who made this amazing TARDIS latte art, so if you know who the person is that made this, please let us know in the comments below so they can receive the credit they deserve! 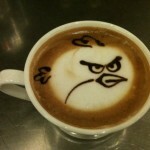 I would have never imagined that somebody could make latte art that looked this good with this insane level of detail! 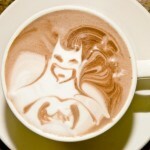 There is no way I would drink something that looks this amazing!